I drove all day Friday and arrived at 9 pm on Friday night. I was up early Saturday morning. I had my quiet time, 4 miles on the treadmill, ate a light breakfast, and went for an 8 am appointment with Dr. Shelton Smith, Editor of THE SWORD OF THE LORD, to discuss my books. We had a wonderful time of fellowship. I then went to spend time with my 97 year old mother. 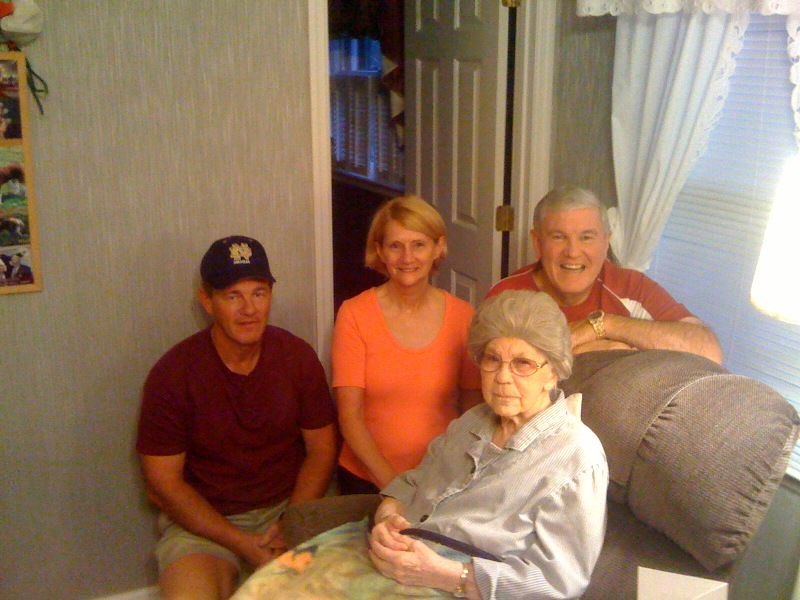 My brother Jerry and his dear wife Ronnie have taken great care of mama. It is amazing the love they have! I always enjoy visiting them. I visited with Pastor Dusty Ray of the Heartland Baptist Church of Murfreesboro, Tn., for a little bit Saturday. I set up by book table and then rushed back to do another 4 miles on the treadmill while watching the Michigan State University play Butler in the semi-finals of the NCAA basketball tournament. I prayed and prayed and prayed and MSU lost. I hollared at the TV but it didn’t help! I was stunned! Then I figured out what went wrong. You see, the Spartans were so tired Saturday night from having worked on their bus routes all day Saturday that they had nothing left to give! Ha! Sunday I was up early, had my quiet time, walked 4 miles, ate a light breakfast, and began getting ready for Sunday school. After church today I went and spent time with Mama, Jerry, and Ronnie. I then walked another 8 miles before going to preach the 6:30 service tonight. Gotta love family! I will be up at 6 am and on the road by 7 to drive home, Lord willing! I have to get back home in time to see Butler beat Duke. I just hope they are not too tired from running their bus routes today! Ha! I hate Duke! I hope Butler wins this one! Please Lord? Ha!